Our time on this Earth is incredibly brief - and we never know when it will end. Life is truly ephemeral. The one thing we know is that each day is a blessing. Each day is a precious, one-time-only opportunity to share love and appreciate beauty. I love exploring a variety of art forms. Digital photography. Film photography. Cyanotypes. Origami. 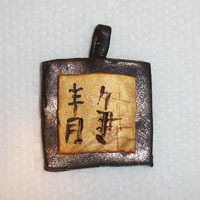 Polymer clay and precious metal clay. The possibilities are nearly endless - and each one has its own unique beauty. Here are just a few of the realms I've explored. I hope they inspire you in your own creativity! I adore origami. It is made from paper - it is something anybody of any age level or financial status can enjoy. It can create objects both simple and beautiful. You can make jewelry, table decorations, wall hangings, flowers, Christmas tree ornaments, and just about anything else you could want. It is meditative and serene. I offer custom-made origami lotus flowers, origami lilies, origami cranes, origami crane earrings, and much more. 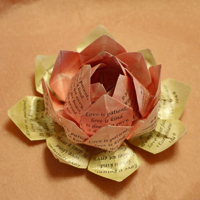 I can have the lotus flowers contain any text you wish (that isn't under copyright). Cyanotypes pre-date photography. In order to create a cyanotype you mix up light-reactive chemicals, paint a surface with them, and let it dry in the dark. When you're ready to create your image you carefully lay objects on top of that surface. When the sun shines down, it turns the exposed (non-covered) areas blue. The areas left in shadow remain the base color. I enjoy creating a variety of items with this technique - paper prints, T-shirts, curtains, pillows, and even dresses. Most of the time I work with bicycle gears and ferns. My back yard is filled with ferns and I find them quite soothing. 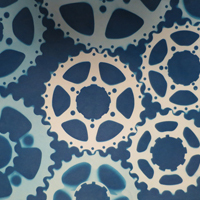 And I've adored gears before "Steampunk" was a thing :). I also do logos for my boyfriend's band. 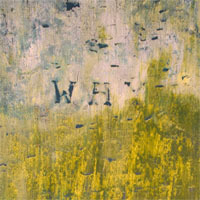 A monotype is a one-time-only, unique print made off of a one-time-use surface. Compare this with woodblock printing where you can just keep churning out the same image over and over again. A woodblock print lets you make repetitive images. A monoprint is one-and-done. With a monotype setup, when that print is made, it in essence destroys the mold. There's no going back. There's no redos. Creating monoprints is quite mindful. You're aware that what you have is in that moment and it will never come again. Polymer Clay is an amazing style of plastic clay which can be baked in a normal oven. You don't need a special kiln to do it with. Polymer Clay comes in a wide ranges of colors, styles, and textures. There are also a variety of tools you can use to further shape and imprint the clay. I love creating sculptures, pendants, earrings, rings, and a wide variety of other items. I especially enjoy creating covers for journals. It's interesting that, not too long ago, the word "photography" meant film photography. It was just assumed. Nowadays photography by default for most people means digital photography. It shows how words can change their meaning as time progresses. For example, nowadays if there's a photography show that's open to the public for submissions, nearly all submissions are done digitally. If film is accepted, it often goes into its own special category. It reminds us of how ever-changing life truly is. I, like most of the rest of the population, love digital photography. It means I can take thousands of photos and decide which angle fits a particular need. It might be a shadowy version is perfect for one show while a brightly lit version is great for making notecards. I take a range of photo styles. 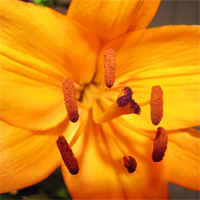 I love flowers, insects, architecture, abstract, landscapes, and macro photography. For those who still remember film photography, they often think of 35mm roll film in neat cylindrical cartridges. But I like to go back even further in time. Back to when film was in 120 large, square format and you only got 12 photos per roll. 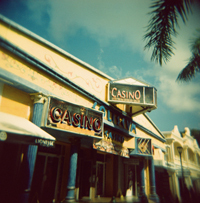 I use a Holga camera for this, which is a plastic-based camera made in China. It creates eclectic, artistic types of images. There will be light leaks and vignetting. The image is square. It's great fun. You can even do creative things like putting 35mm film into it and shooting images fully across the sprocket holes. Remember that 35mm film we were talking about? There is one unsual way I enjoy using it. If you put that 35mm film into a camera backwards, so you're shooting through the back side of the film instead of the front, then colors take on a rich, red hue. It's about the way the light interacts with the backwards film. You get stunning effects by doing this. I like thinking outside the box. Trying things in new ways. Seeing what happens. In the days of film, there were two main types of film. 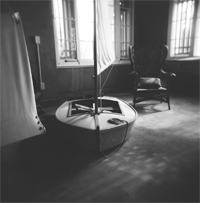 The first was regular photo "negative" film. This film was used to create prints. You could make as many prints as you wished because the negatives were always there untouched. Second, you could use slide film which was meant for creating slides for slide projectors. With slide film you chopped the actual film up into the slides so once they were chopped into a slide, that was that. Different chemicals were used for developing the two types of film. 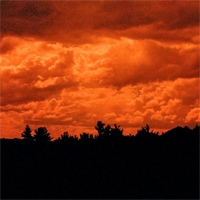 However, if you took slide film and then used regular photo chemicals on it, something fun happened. The colors would pop and alter. That brings a new way of viewing the images. I love to write and to help others learn. You can probably guess that from the hundreds of thousands of pages on this website. 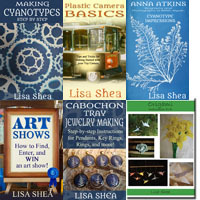 I've written a number of books about art, cyanotypes, Holga photography, jewelry making, origami making, and more. Here are a few of my books which touch on artistic topics.